394 Madison Street, Brooklyn, NY, New York 11221. 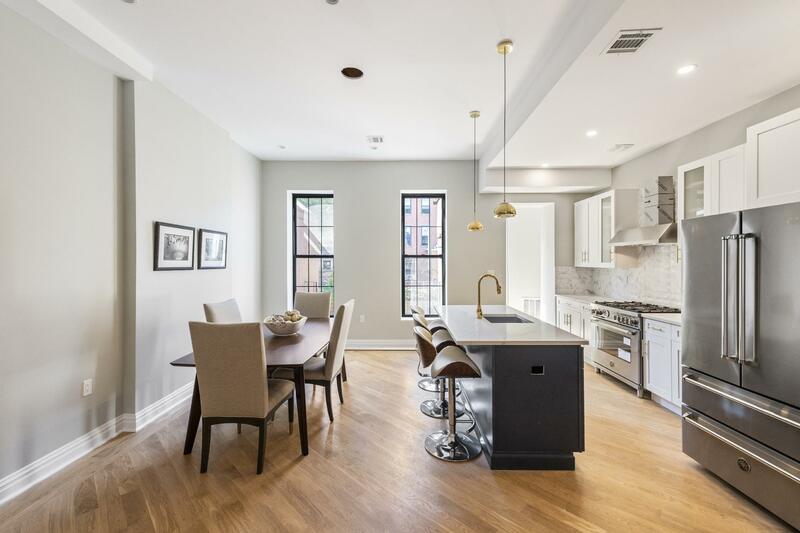 A gut-renovated 2-family townhouse nestled on a charming, tree-lined street in Bedford-Stuyvesant, 394 Madison is an exemplar of contemporary Brooklyn living. 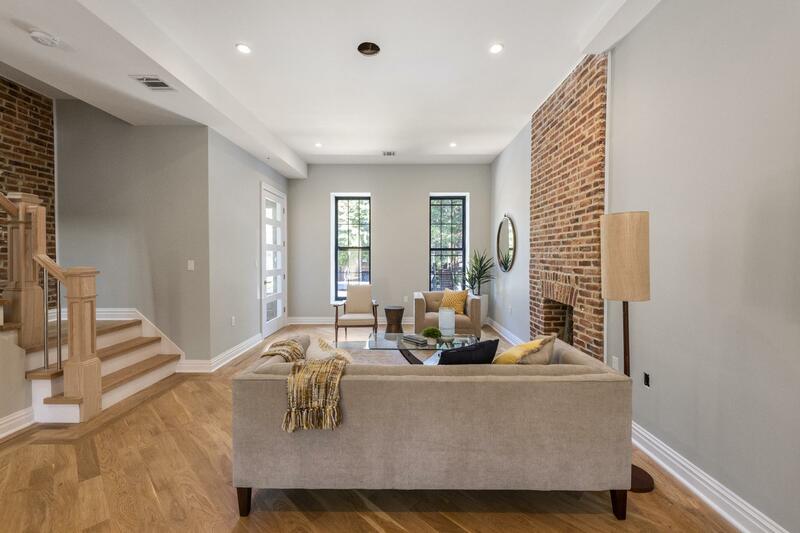 Features of the home include a picturesque brownstone fac�ade, gorgeous hardwood floors, airy ceilings, exposed brick walls, recessed lighting, a finished basement, a lush backyard with a beautiful tree and a new fence, a luxurious owner's duplex, and an income-producing rental unit. 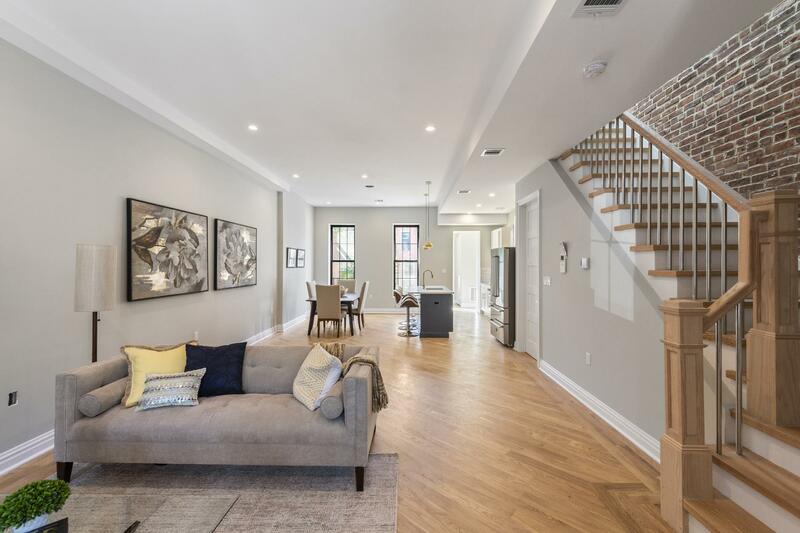 The parlor level of the 3-bedroom, 3-bathroom owner's duplex begins with a tasteful foyer adorned with a large coat closet and then flows into a floor-through, open-concept living room, dining room, and kitchen. 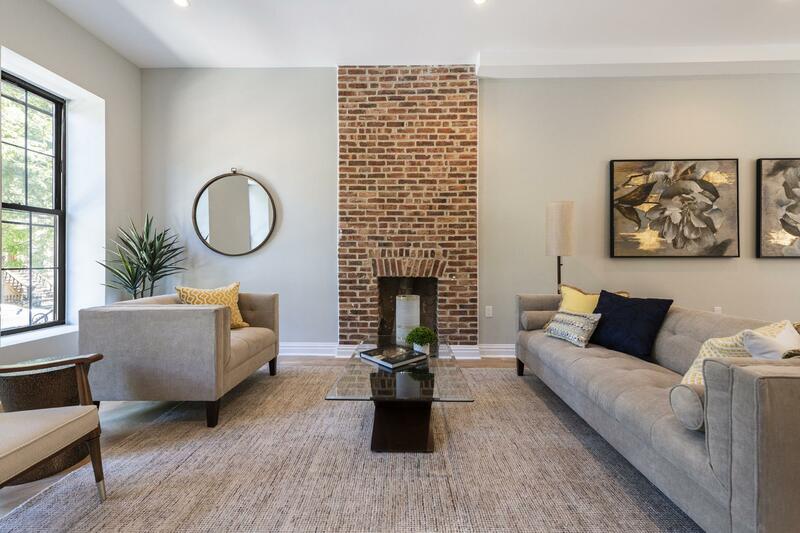 The living room boasts a decorative fireplace with a redbrick surround, while the kitchen leads out onto a private patio with access to the garden. 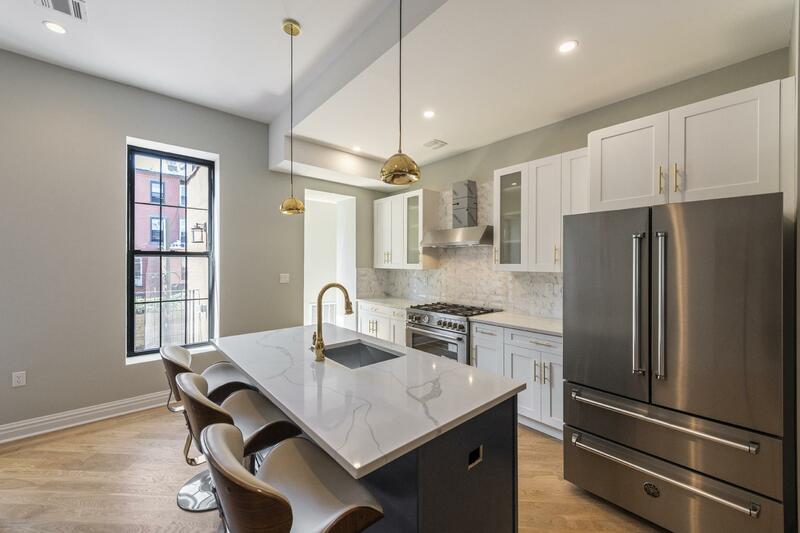 The kitchen is equipped with a massive eat-in island, stone countertops, a stone tile backsplash, and a suite of high-end stainless steel appliances. 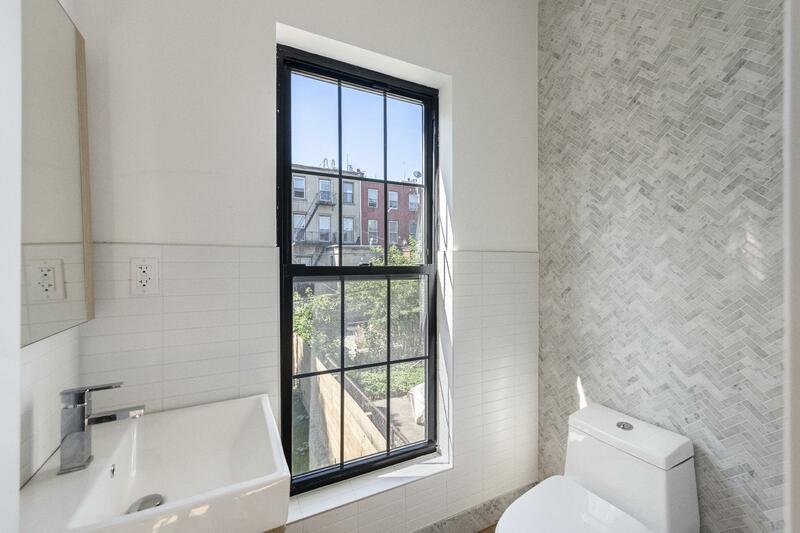 A windowed powder room finishes the lower level. The upper level of the duplex features a sky lit landing and a trio of spacious bedrooms. 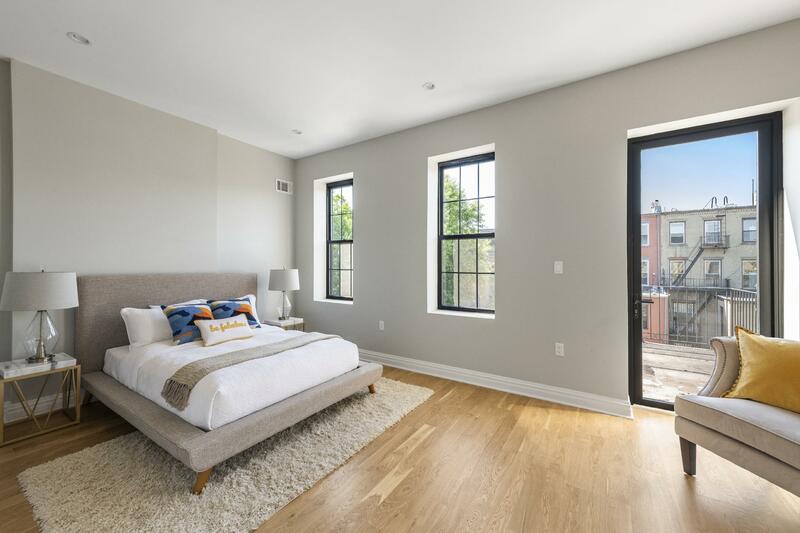 The master bedroom possesses a walk-in closet, an additional reach-in closet, a private patio overlooking the backyard, and a pristine en-suite bathroom with a glass-enclosed walk-in shower. 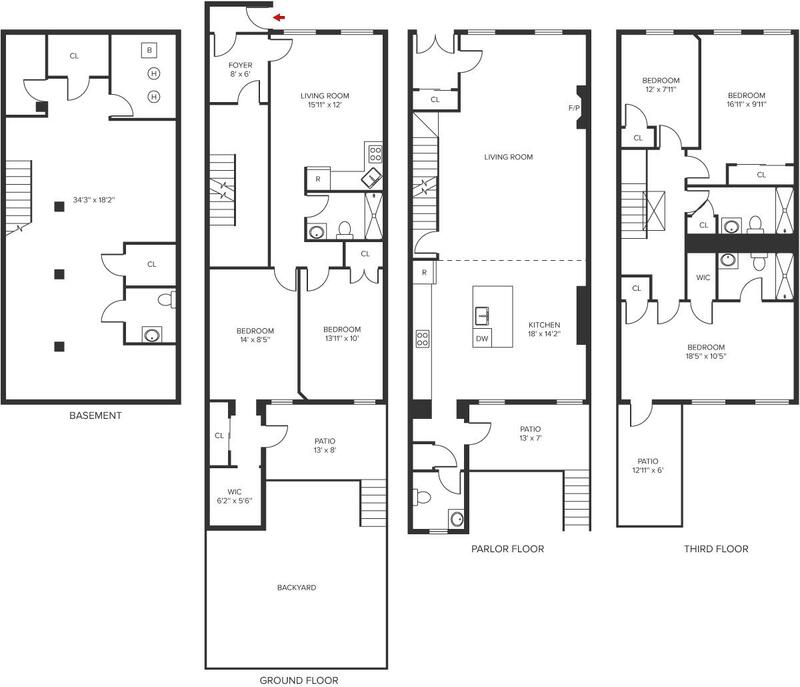 The second and third bedrooms each have private closet space and share a large full bathroom. 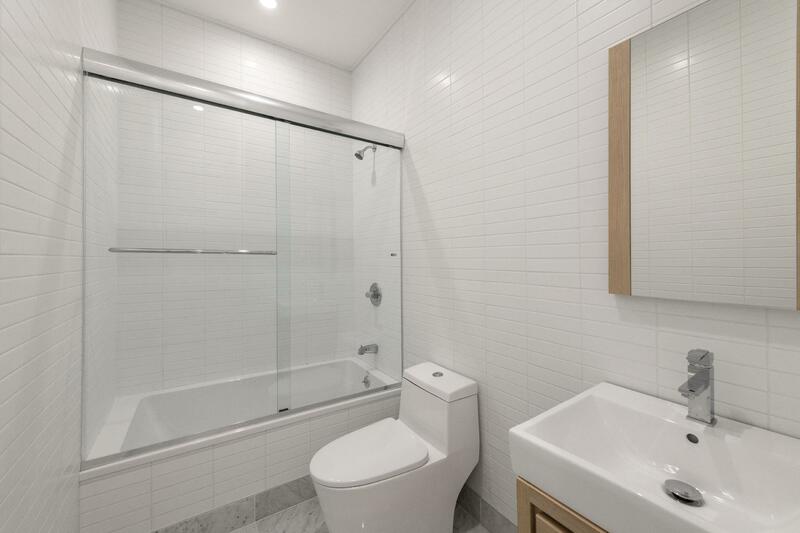 The owner's unit also has access to a roomy finished basement with a huge closet and a powder room. The garden-level rental unit contains 2 bedrooms, 2 bathrooms, access to the backyard, and an open-concept living room and kitchen. The kitchen features stone countertops and backsplashes and a suite of stainless steel appliances. 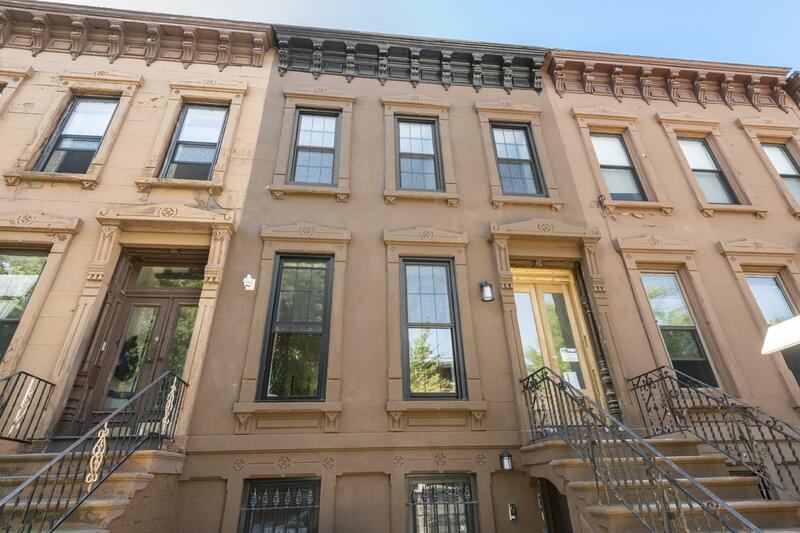 394 Madison Street sits just steps from all the restaurants, bars, cafes, and shops that line Tompkins and Throop Avenue. It is close to Raymond Bush Playground and Herbert Von King Park, and is a short walk to the A and C subway lines.